The de facto leader and Myanmar Foreign Minister Aung San Suu Kyi has publicly responded to the ongoing crisis in Rakhine state, that led to over 400 deaths and triggered an exodus of over 120,000 Rohingya Muslims. Suu Kyi, a Nobel Peace laureate, told Turkish President Recep Tayyip Erdogan during a telephone call that her government makes “sure that all the people in our country are entitled to protection of their rights”, according to an Information Committee statement issued on Wednesday. 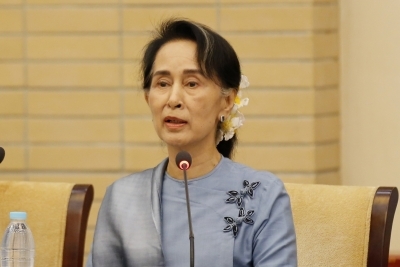 Suu Kyi has been widely criticised for not acting on the ongoing humanitarian crisis in the Rakhine state, which is home to over a million Rohingyas, Efe news reported.